In this Dec. 4, 2017, image made from a video, Eleanor McManus works at her desk at Trident DMG, the Washington public relations firm she co-founded. McManus formed a support group for women like her who say they were victimized by powerful men in the television news business and is the co-founder of Press Forward, an initative aimed at changing newsroom culture. "Women should not have to go to work and worry that something like this is going to happen to them," said Eleanor McManus, who said she was a 21-year-old job seeker when then-ABC News political reporter Mark Halperin tried to kiss her during a meeting in his office. "Women should not worry that mentors may act in an aggressive manner toward them. That's not fair." Press Forward evolved over the last two months after McManus and other women went public with allegations against Halperin, CBS and PBS host Charlie Rose and NBC's "Today" show host Matt Lauer, and others. Halperin has said that he is "profoundly sorry for the pain and anguish" he has caused and, in reading the women's accounts, recognized "conduct for which I feel profound guilt and responsibility." Rose and Lauer have also offered apologies, while saying some the allegations are untrue. All have been fired. This was the second wave of an industry-wide reckoning that began at Fox News with the removal last year of Fox News chief Roger Ailes and the dismissal in April of the network's star host Bill O'Reilly. 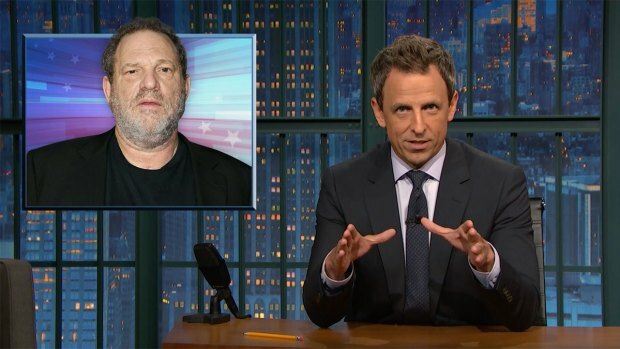 But the most recent revelations came as many Hollywood and other media executives have faced allegations, and more network women have come forward. At first, McManus and a small group shared stories and hugs over drinks. They kept in touch via text messages and private Facebook groups, including one called "The Silver Lining." Now they have reached out to other women with shared experiences to build a growing coalition. "Nobody here is wallowing in their pain and anger," said Dianna Goldberg May, a former ABC News researcher who said Halperin demanded she close the door and sit on his lap in his office in the mid-1990s when she was 23. "We are doing something to effect positive change in the workplace." The group's first mission: figuring out what's needed to make the television news business more equitable and effective. The women say they'll spend the next six months talking with everyone from interns to executives and designing best practices that tear down the status quo. 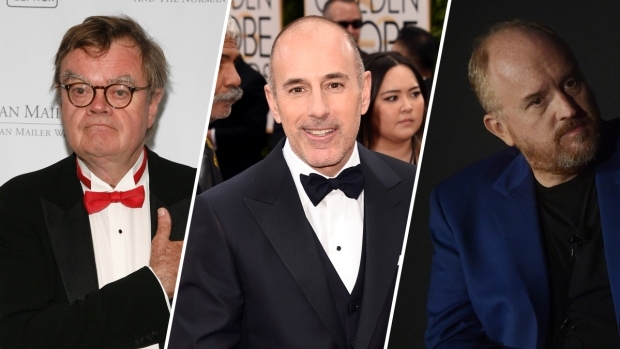 After Lauer's firing, NBC initiated a review of its handling of the matter and implemented in-person training on sexual harassment awareness and appropriate behavior in the workplace. "There are many reasons to have an industry-wide conversation about how we're doing and how we're living up to our norms," said McManus, a co-founder of the Washington, D.C. public relations firm Trident DMG. "This is, perhaps, the most pressing because this is about the shameful power imbalance that has been in place too long." May, now a lawyer, wants the government to give sexual harassment victims more time to file a complaint. Currently, they have up to 300 days. "We stayed silent because we thought we were the only ones," said McManus. "We didn't think that this happened to others, and that's why we stayed silent so long. The cult of silence is finally broken." Emily Miller tweeted that Halperin sexually assaulted her while she was a researcher at ABC News. Lara Setrakian was 24 when she says Halperin kissed and touched her while they talked politics in his office. They said they learned later that some people at the network had been aware of Halperin's behavior, but that it didn't stop. Setrakian said Halperin's treatment of young women was considered an "open secret" in some circles. "There's clearly a problem here," said Setrakian, now the chief executive of the digital media outlet News Deeply. "They should be launching rigorous investigations on how to fix the problem." "The current culture is muddling the meritocracy," Setrakian said. "It's pushing talented people out. It's allowing toxic behavior to affect the performance and contribution of certain colleagues. That's bad for business." "Then we wouldn't have to train women how to deal with it," said McGinnis, who now works at the Alan Alda Center for Communicating Science at Stony Brook University. "Why don't we go to the source and fix that?"